On a show stand presenting 16 production vehicles and concept cars, PEUGEOT is showcasing the youngest and widest range in its history in China: an expression of French allure with the launch of the 2008 urban Crossover, a complete range of Roland Garros special edition vehicles, the ‘EXALT’ Concept Car and unique technological expertise with the PEUGEOT 2008 HYbrid Air. 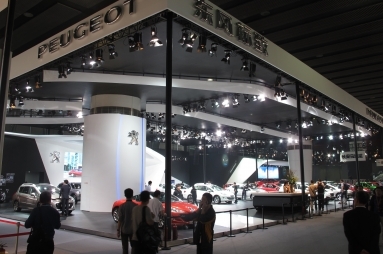 The Beijing Motor Show opens its doors against a background of unprecedented sales results in China for PEUGEOT. 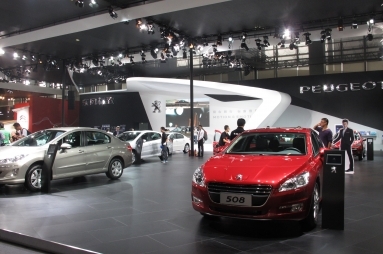 During the first quarter of 2014, the Brand invoiced more than 85,000 cars, a growth of 18.6% compared to the first quarter of 2013, in an overall market up by 13.3% in the same period, establishing a new historic sales record for PEUGEOT in China. Recent launches have all met with success. 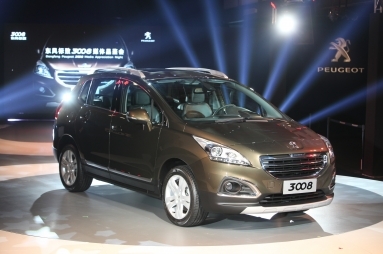 The PEUGEOT 3008, launched in January 2013 in Chengdu, recorded more than 52,000 orders last year, above its initial objectives, and the PEUGEOT 301 has already attracted 23,000 customers since its launch in Canton last November. 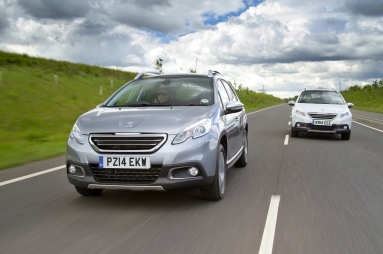 The 2008, the urban Crossover by PEUGEOT, launched in Spring 2013, has been very well received by European customers with more than 130,000 orders after less than a year on sale. 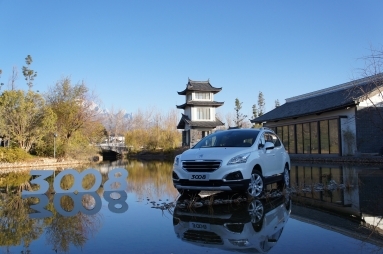 Its launch in China, in a market for small SUVs that is growing rapidly, should allow the 2008 to achieve its sales objective worldwide of 221,000 units in a full year during 2015. In China, the 2008 will help the Brand to win over a population of young first-time buyers, with an average age just under 30, belonging to the new, quickly growing Chinese middle class. Directly inspired by the ONYX Concept, the PEUGEOT EXALT Concept Car achieves an alliance of differences for a completely original result. Its specification includes traditional and technological materials with expertise from French and Chinese cultures. In homage to the art of the French motor car from the twenties and thirties, its bare steel bodywork is hand-formed by a master panel beater. A unique item, it seizes the historical cues that excite automobile passion. The vehicle presents a ‘coupe franche’ (clean cut): separating bare steel from an innovative material, Shark Skin, which is red and which covers the whole rear end of the vehicle. The interior of this exceptional saloon, with four doors and four individual seats, offers the traditional Chinese craft of working in wood, a quite exceptional field for expression. Accordingly, Macassar ebony, selected for the area in Asia where it grows and its warm colour, which covers the upper parts of the door panels, has been worked on by a pair of Chinese artists. The trio PINWU Design agency created a motif combining a lion with bamboo stems and leaves. A Chinese craftsman sculpted it using a traditional technique for creating prints on fabric and paper. The PEUGEOT EXALT Concept Car is equipped with a plug-in HYbrid4 drive train with a total power of 340bhp, made up of a 1.6-litre THP 270bhp engine, coupled to a 6-speed automatic gearbox and a 50kW electric motor in the rear axle, allowing four-wheel drive. 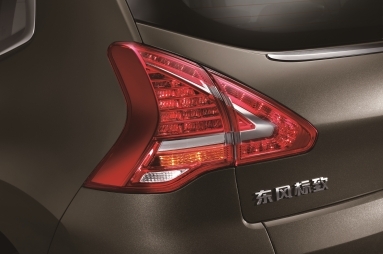 Making the most of the very strong recognition in China for the Roland-Garros French Open and the greatly prized image of French chic that accompanies it, PEUGEOT is presenting, for the third year in a row, three special editions: the 3008, 508 and 308 CC Roland Garros. These very special editions, fully equipped, will benefit from the dual impact of the 30th anniversary of PEUGEOT’s partnership with the tournament at the ‘Porte d’Auteuil’ and the signing earlier this year of a worldwide partnership with Novak Djokovic, world number two and tennis icon. A few months after its first presentation at the Frankfurt Motor Show, the RCZ R, the high performance version of the RCZ Sports Coupé, emblematic of the Brand’s expertise in design and driving sensations, will be presented to the Chinese public. 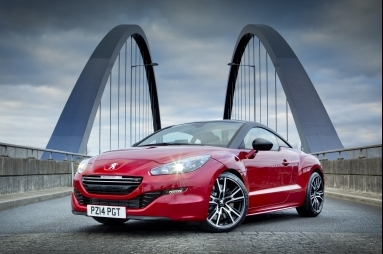 The new 1.6-litre, 270bhp engine with well contained CO2 emissions of just 145g/km, places the RCZ R in a quite exceptional position of performance and efficiency. So PEUGEOT offers the Chinese public the best of its automobile know-how, elevated by the expertise of PEUGEOT SPORT engineers.